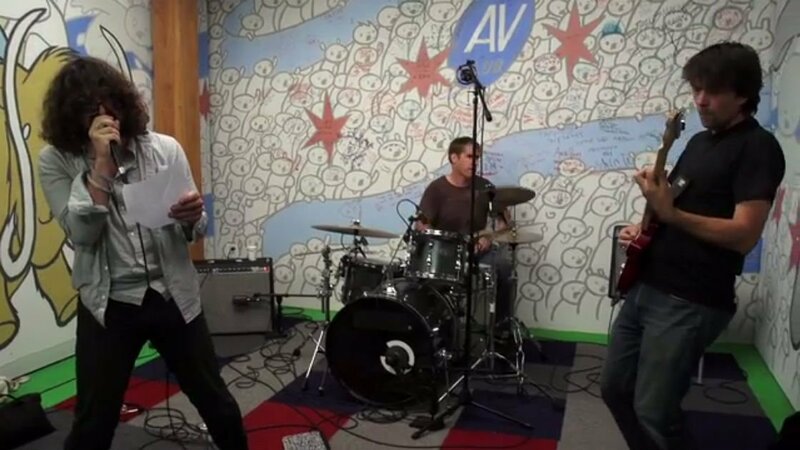 Sebadoh recently went on The AV Club's Undercover and played their take on Rush's "Limelight." When asked why they picked the song, guitarist Jason Lowenstein dryly described Rush as a phenomena in which "the three best musicians in the entire world ended up in the same band together." Going along with this, the performance was more of a joke than a serious cover. Lou Barlow starts things off by repeating, "I hated high school," into an echoing microphone. This obnoxious use of vocal effects continue through the song. Meanwhile, the rest of the band plays the instrumentation clean and loyally. Sebadoh's most recent album, Defend Yourself, is available on Amazon (Vinyl, CD, MP3) and iTunes. For more music and videos from Sebadoh, check out their Zumic artist page. Tickets Classic Rock Hard Rock Metal Progressive Rock Rush Alpharetta, GA Atlanta, GA Austin, TX Boston, MA Bristow, VA Buffalo, NY Calgary, AB Chicago, IL Columbus, OH Dallas, TX Denver, CO Detroit, MI Greensboro, NC Houston, TX Inglewood, CA Kansas City, MO Las Vegas, NV Lincoln, NE Los Angeles, CA Montreal, QC New Orleans, LA New York, NY Newark, NJ Philadelphia, PA Phoenix, AZ Portland, OR Saint Paul, MN Salt Lake City, UT San Jose, CA Seattle, WA St. Louis, MO Tampa, FL Toronto, ON Tulsa, OK Vancouver, BC Washington D.C.